Published 20th March 2019 at 500 × 494 in Dogs Looking for Homes. 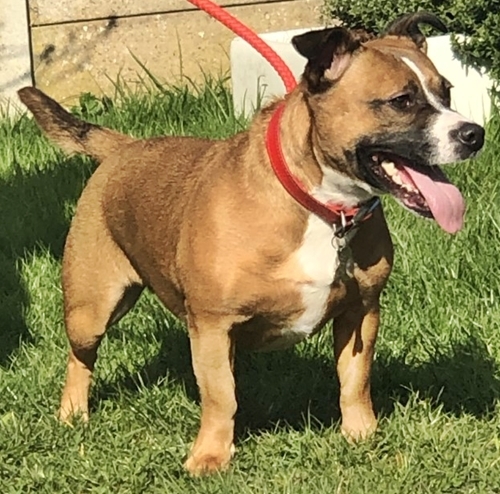 ‘Alex’ 3 year old Male Staffordshire Bull Terrier. Alex came into us as he was not suitable around other animals at all. He will need an experienced owner in that respect. He is lovely and friendly with people, he just doesn’t tolerate other animals at all unfortunately. He can get jealous so will not be homed with under 10’s as a precaution.